David Waine was Head of Building at BBC Pebble Mill from 1983, when he took over from Phil Sidey. 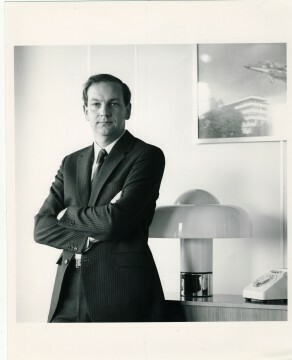 The photo was taken in David’s office, and in the back of shot is a still of the famous Harrier landing at Pebble Mill, from ‘Pebble Mill at One’. I adored David – brilliant boss!